Make Wichita your girl&apos;s trip destination as you load up with your closest friends and head to the largest city in Kansas. Here, you&apos;ll be able to shop, dine and relax your way to a good time! Wichita has two indoor malls and some fantastic outdoor shopping districts like Bradley Fair, NewMarket Square and the Historic Delano District. You&apos;ll find retailers along with local favorites across the city from Cocoa Dolce Chocolates, The Farris Wheel and Cero&apos;s Candies to The Spice Merchant & Company, as well as cute boutiques selling handmade, eclectic, artisan flair like The Workroom, Bungalow 26 and Zeep. Get your flag swag at these locations, as well as Lucinda&apos;s.
Explore other shopping opportunities throughout the city. 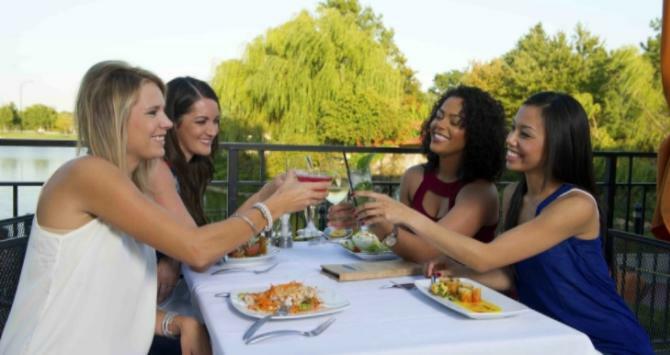 While you&apos;re shopping in Bradley Fair, stop by Newport Grill for a collection of surf and turf options or fine wine with your lady friends. Also nearby is YaYa&apos;s Eurobistro, known for having some of the best hummus in Wichita. Try the wine collection making Open Table&apos;s Top 100 Wine Lists in America at Wine Dive. The restaurant offers upscale appetizers and dishes, and also serves brunch. Looking for some healthier options? Beautiful Day Cafe serves locally sourced, organic, vegan and vegetarian options for brunch, or head to Union Station in downtown Wichita to try the fresh, clean food made-from-scratch at The Kitchen. If your&apos;e feeling brave and want to try a collection of different flavors, take yourself on a foodie tour and travel the world without leaving the city. 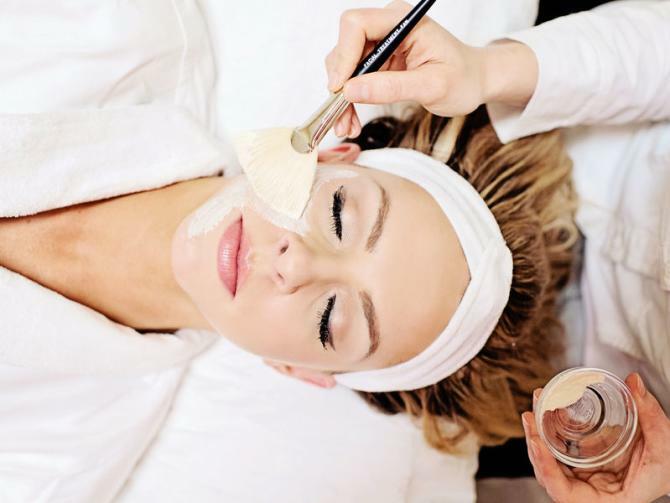 Pamper yourself with a spa day at Bohemia Healing Spa in the Historic Delano District. Stop in for natural or holistic methods of massage, facials or waxing. In Bradley Fair, Healing Waters provides an east side paradise that has been twice named the "Best Medical Spa in the Country." Explore other spa and relaxation options with handmade self-care items at local shops. Feeling artsy? Visit one of the country&apos;s finest collections of American art spanning three centuries at Wichita Art Museumand take a stroll through the 8-are Art Garden. Admission is free on Saturdays. 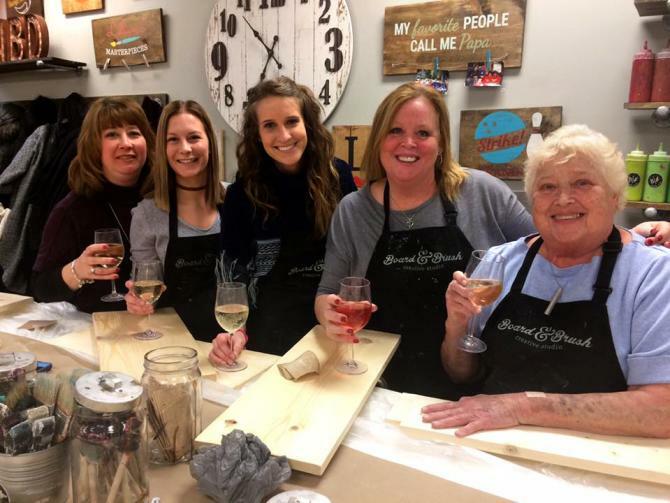 If you&apos;re looking to create your own masterpiece, head to Board & Brush, Paint the Towne or Pinot&apos;s Palette, where you can paint and make your own artwork. Enroll in a specialized class at Mark Arts to learn different mediums including culinary art classes. When you&apos;re done, experience art in nature as you explore Botanica Wichita, one of Wichita&apos;s most popular attractions with more than 30 themed gardens, each offering sculptures, beautiful floral displays and unique experiences for all ages. Stop by the Chinese Garden of Friendship to learn about Wichita and its sister city, Kaifeng, China, or take in a moment of peace at the Margie Button Memorial Fountain. Wichita offers tons of attractions, including an impressive collection of performing arts and entertainment.